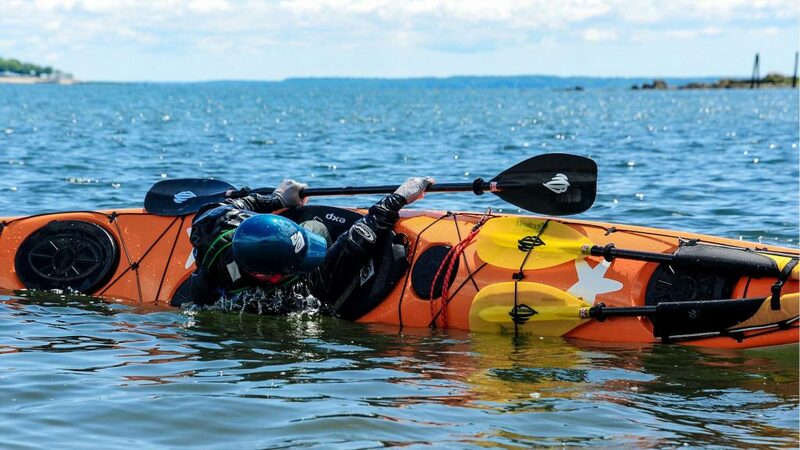 Learn to roll a sea kayak. This course represents one-third of the 6-hour rolling class taught during our winter indoor pool sessions. It is catered to meet the needs, limitations, and pace of each student. Instruction will take place both on dry land as well as in the water to help develop the body mechanics and blade work needed to execute a successful roll. We will work to identify physiological strengths and mobility preferences for each student. From that assessment, we will customize a learning strategy for the bow sweep roll, the C to C roll, or both. No experience is necessary. To ensure that students get the most out of the experience, the rolling and bracing class is semi-private and has a maximum of one instructor to two candidates. Should an additional two-hour segment be needed, this can be scheduled at the conclusion of the class. – All equipment is included, however, using a kayak and a paddle that you are familiar with is encouraged.